You are here: Home / Weekly Columns / Opinion / 5 Ways Nintendo Switch Can Crush Xbox One and PS4 in 2018. 5 Ways Nintendo Switch Can Crush Xbox One and PS4 in 2018. 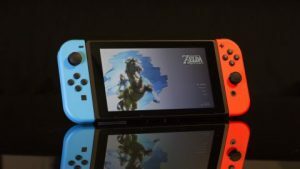 (ThyBlackMan.com) There’s one surefire way Nintendo Switch can crush Xbox One and PlayStation 4: deliver games one can play on the go and at home. But there are many more ways Nintendo can dominate the console gaming. The first year of the Switch was a lot better than what Nintendo was expecting. Now in its second year, the console’s future looks bright. The average lifespan of Nintendo consoles is 5 years, and 2018 is the time when this console will enter into the next phase of its life cycle. Here’s what to expect from Nintendo’s handheld console in 2018. In September 2018, Nintendo will launch its Switch Online paid subscription service dubbed Nintendo Switch Online. The $20 annual subscription will allow players to get exclusive discounts on eShop and players will also be able to enjoy multiplayer games online. Subscribers will get to download classic games. Both Sony and Microsoft have their own subscription service models and they bring free games every month. Nintendo Switch Online is currently available for free but its core features will be available in September. To succeed in subscription services, Nintendo will have to convince people to spend $20 per year because apart from all the available games, there’s nothing special in this service. The chat app is dumb at this moment as it does nothing more than just allowing users to chat and check their Splatoon 2 stats. The Nintendo Switch is absolutely a perfect console to play classic games on, but sadly, no proper multimedia capabilities are given to this device. The company has released many updates for the console but whether we will get Virtual Console program on the Switch still remains a secret. Nintendo is completely silent on this, but if the company considers bringing this change, it will definitely attract Nintendo Classic fans. Though there is a possibility of classic games coming to Nintendo Switch in the Netflix-style collection through Switch Online. The Nintendo Switch is not as powerful as the PlayStation 4 or the Xbox One, but it can smartly beat these console by focusing on game design. While its competitors are busy pushing graphics to a next level, Nintendo should keep focusing on the design elements in Switch games. On a technical level, games on the Xbox One and PS4 look a lot better than the games we see on the Switch, but game design is one area where Switch can easily beat those consoles. If you have played Zelda on the Switch and Halo Wars 2 on the Xbox One, you will realize that the level of engagement and fun is better on the Switch and the reason is the company’s focus on game design. Nintendo Switch users wondering when the company will bring streaming services including Amazon Prime, Netflix, and YouTube. Nintendo launched the console in March 2017 and at that time there were no streaming services available. In November, the company brought Hulu on the platform. At the time of launch, the Nintendo said it is in talks with a range of companies but almost a year after its debut, there’s only one streaming service Hulu is available on the Switch and it is available in the U.S. The Japanese version has a video hosting service Niconico on Switch and it’s exclusively available in Japan. 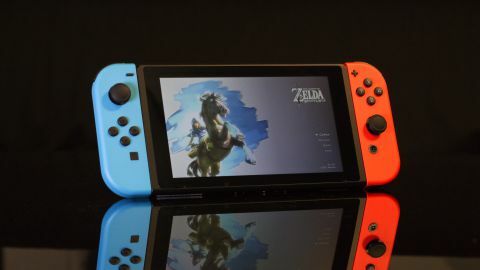 Switch owners are waiting for these services and if these services come out anytime soon, it will surely attract new customers and there will be one more reason to choose Switch over the other consoles. The Switch doesn’t need any hardware changes because it offers portability and also comes in a very comfortable and good-looking design. One of the biggest reasons why players around the world skip Nintendo Switch is its $300 price tag. Price drops are very common in console gaming but in Nintendo’s case, things are different. Nintendo’s consoles hold their value for a long time and since this is going to be the second year for Nintendo, and considering its sales, there are less possibilities of price cutting, but if Nintendo surprises with a price cut during or before the holiday season, it can easily pull some PS4 and Xbox One fans on its side.